Choosing a new boiler can be overwhelming. With so many manufacturers, types and sizes to choose from, there is a lot to think about. And also a lot of pressure. After all, if you make the wrong decision, you are stuck with an expensive boiler that might not do what you need. However, here at Charter Heating, we are boiler and heating experts. As a result, we have produced this guide to the steps for choosing a new boiler. Setting a budget for your new boiler can really help to focus your new boiler search. This is because boilers vary a lot in price. Some boilers may hover around £1000, but others may be 4 times that. As a result, knowing your price limit can help you narrow down your search for a new boiler. In addition, you should also take into consideration the cost of installing your new boiler, as part of your budget. If your boiler needs to be re-positoned, the install cost could be a lot higher than you may have been expecting. Know the different types of boiler before you begin shopping as this will save you a lot of time. If you are looking to simply swap your existing boiler for a new boiler, you need to make sure you know what type of boiler you already have. 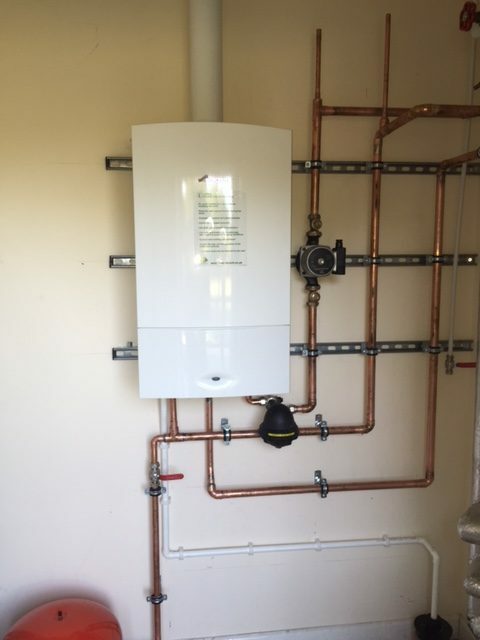 If you have a conventional boiler, you may want to swap to a more modern conventional boiler, and so you will need an additional hot water storage tank. On the other hand, if you are swapping a combination boiler for a new combination boiler, you need to make sure that this is the boiler type you choose. Furthermore, when choosing a new boiler, you need to consider the boiler size. Depending on the size of your home, you may need a boiler that is larger than usual. However, a boiler that is too large for your home will be wasting fuel, and will not heat your home effectively. This is the same for a boiler that is too small. For more information or advice about choosing a new boiler, or for a new boiler installation, contact us today at Charter Heating.